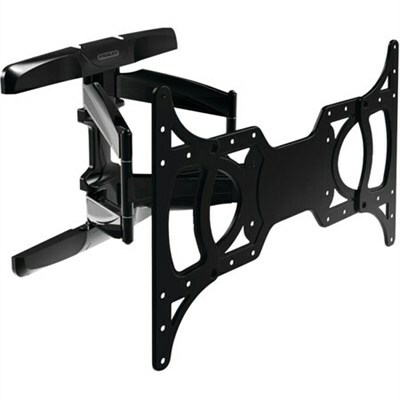 The STANLEY TLX-220FM Full Motion Articulating Mount is designed for larger sized flat panel TVs. For TVs weighing up to 100 lbs. The STANLEY TLX-220FM Full Motion Articulating Mount is designed for larger sized flat panel TVs. The TLX-220FM Full Motion mounting system features a slim and sleek design for a clean and low profile appearance. TV Size: 37" - 65"